If you’re looking for the most recent resources on HR best practices and hiring tips, you’ve come to the right place. The Select International whitepaper library has a resource on every topic you need, including employee assessments, behavioral interview training and executive assessments. Explore the whitepapers in our library below to gain in-depth insights or to brush up on the basics of human resources best practices. If you have questions about the content presented in any of these whitepapers, feel free to contact us today. How do you measure the return on investment (ROI) of an employee selection process? This is one of the most common questions that we are asked by our clients, and, in turn, one that is asked of HR professionals by their executives. Are All Employee Assessments Alike? Are all employee assessments alike? The short answer is a resounding, “No!” There are many types of assessment tools available, and using the right combination of assessments greatly increases the accuracy and efficiency of your hiring decisions. This whitepaper discusses the various types of employee assessments and provides tips on how to choose the one that works best for you. Any time incidents of workplace violence make the news, businesses and employees wonder if someone at their office might be the next to lash out. But, how do you evaluate the potential for violence? These HR best practices clue you in. Why do CEOs tolerate poor performance from employees at every level? Leaders readily admit that there are employees, at every level, who hurt the company. They are “cutters.” In almost all cases, cutters are so deficient in attitude, motivation and/or ability that they negatively impact company performance. This whitepaper helps you identify cutters in your employee assessments so you eliminate them from the hiring process. 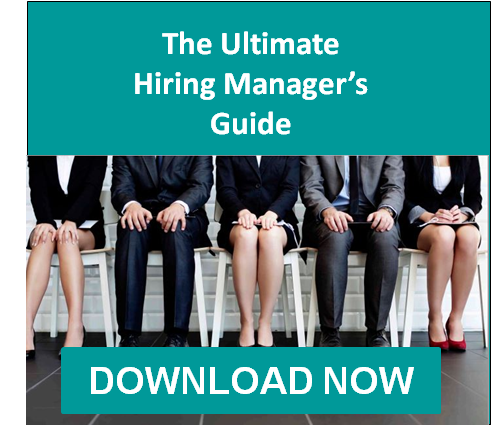 This overview is meant to challenge your thinking about enterprise-wide employee hiring and its link to market performance. In principal, everyone agrees that it is people (human talent) who create and implement the services and products that dominate markets. But, the consensus then falls apart and it becomes difficult to get any two people to agree on what constitutes “talent,” let alone what to do about it. A fundamental challenge facing human resources is consistency. Employees are selected for one set of skills and abilities, trained based on another, evaluated on another and compensated based on something different. Administering HR best practices and programs across an organization without common behavioral competencies is like working on a team with no clear way of communicating. This whitepaper discusses the simplicity of enterprise-wide behavioral competencies – taking something that is complex and confusing and making it simple. And, most importantly, making it effective. Many organizations have either moved to or at least considered using unproctored, online testing for part of their pre-employment testing needs. Unproctored testing offers a greater level of flexibility for employers and significantly reduces costs associated with proctoring. However, unproctored testing raises a number of concerns. Read about the differences and learn what they mean for your organization. What are the HR best practices for hiring in the manufacturing industry? How much should you pay to hire your next manufacturing associate? What factors affect recruiting costs? How does hiring affect turnover? Our clients often ask us these questions, so this whitepaper gives practical perspective to a seemingly complex series of questions. Retesting: What Is The Right Time Period? Pre-employment testing costs time and money, so giving a test multiple times – when it will not significantly change the outcome for a candidate – is a waste of both time and money. In addition, it’s always possible that practice effects may become a factor if the test is taken again within a short period of time, and therefore raise the individual's score without any “true” change in the attributes that you are testing for. So, what factors help you determine if a retest is necessary? Resume Reviews: Everyone is doing it...but how useful is it? Research has shown that recruiters integrate resume information very differently and the reliability of such practices is very low. This whitepaper explores the reliability and fairness of resumes in the hiring process. Read how to correctly use the resume in your hiring process and how to combine it with other types of hiring tools. Should We Use Employee Assessments For Internal Employees? Whether or not to extend an employee assessment program that is used for external candidates to internal candidates applying for the same job is a complicated question and deserves careful consideration. This whitepaper discusses the pros and cons around different answers to this question and presents the approach that Select International’s experts endorse as their leading recommendation. No single factor consistently predicts job performance best. Jobs, positions and work are complex and multifaceted. Any comprehensive employee assessment system must account for this multi-dimensionality. No single assessment method is acceptable for measuring all dimensions. Some are better at measuring different competencies than others. Different companies require different employee profiles. Companies vary in level of empowerment, self-directedness, problem solving, teamwork and leadership styles, spans of control and work environment. This needs to be accounted for in a comprehensive employee assessment system. Adverse impact, something that all organizations want to avoid in their employee hiring decisions, has a long history in the United States legal system. This document provides a summary of important court cases related to adverse impact, and, more importantly, addresses how your organization is able to reduce adverse impact in your employee selection system. Manufacturing organizations are always looking for ways to improve productivity, eliminate waste, improve quality and shave costs. But, it’s surprising how many do a less-than-ideal job of effectively hiring the right people for the job. In this whitepaper, we discuss how top manufacturers significantly impact their bottom lines through effective employee selection for workplace safety. Everyone has a blind spot when it comes to being safe. No, we’re not just talking about the little area of space in your car that’s hard to see, or about the area behind your head. Blind spots can pop up in many areas, not just our vision. Whenever we are unaware of something – whether it’s in our physical surroundings, how we behave or our personal attitudes – we lack insight. And when we lack insight into something that may hurt us, it may be a blind spot for our workplace safety. Hiring employees who work safely, come to work on time, work well with others and perform their job effectively is a key objective of any successful organization. Accomplishing this in a fast, accurate and cost-effective manner is critically important, especially when it comes to workplace safety. Many advances in safety training have focused on policies and procedures, training, or behavior-based safety (BBS) programs. While these efforts have made significant contributions to workplace injury reductions, they have overlooked a very important factor – the psychological characteristics of the individual. Research in the field of psychometric assessment now makes it possible for us to arm employees with invaluable information about their unique, personal “blind spots” related to safety. Based on decades of published research, these blind spots are the key psychological factors (e.g., personality traits, mental abilities, attitudes) that increase our exposure the most. This whitepaper presents a Four Factor S.A.F.E. Model of individual characteristics related to risk propensity. It follows that model’s performance in four empirical studies. The results provide consistent and convincing evidence that individual differences in risk profile can significantly affect safety outcomes including: injury rates, workers’ compensation claims, and OSHA recordables. This whitepaper discusses the research data showing the strong correlation between safety leadership profiles measured through interactive assessments and group incident rates. This paper presents a conceptual model of the antecedents of workplace safety, focused primarily on the personal factors related to safety behavior, and ultimately safety outcomes. Work-related accidents have a strong, adverse influence on organizations through personal injuries, lost productivity, lawsuits, disability compensation, damaged or destroyed equipment, etc. This whitepaper takes a look at some of the existing research on individual characteristics that have been studied as predictors of workplace safety. What Makes a Great Leader? It is probably one of the questions we get asked the most. What makes a great leader? The typical response from executives is, “I know one when I see one.” This is just another way of saying that most organizations use a gut feeling when it comes to selecting and promoting leaders. Learn the important qualties leaders need to have in order to be successful in this whitepaper. For years, executives have been coached to improve their behavior. Many participate in comprehensive executive assessment events that involve in-baskets, presentations, leadership role-plays, personality inventories and intelligence tests. These leadership assessments are designed to make executives aware of their behavior and how it can be improved. As is the case with every generation, there are certain characteristics common across millennials, and only recently have businesses begun adapting themselves in order to attract and retain these potential employees. Learn how to engage and develop millennial leaders in this whitepaper. Organizations know that their culture is driven by their leaders and they also know that high performing leaders can be associated with all sorts of positive outcomes. Learn how to identify, develop and engage high potentials in this whitepaper. Martin Vantacki, Executive Vice President of International Operations, is personable and loyal to a fault. He’s a guy who will defend you and stick by you through thick and thin. Martin’s friends speak highly of him and easily cite times when he has counseled them and helped them through some of life’s most difficult challenges. Yet, at the same time, many other people say that he is vindictive and out to silence anyone who opposes him. These people quote instances when Martin has seemingly turned on those who objected to his views. This whitepaper discusses how to identify Martin’s behavior through an executive assessment. Although many believe unwanted turnover is difficult to fix, there are very clear ways to understand how it impacts your organization and what can be done to reduce it. Organizations who have “solved” this problem do three things differently than their counterparts – and they all center on effective leadership. Download this whitepaper to learn about these three steps and how to reduce turnover with better leadership. Where Has Performance Management Gone? The way companies conceptualize and execute performance management is changing. Fortune 500 organizations now have the data to prove that the annual performance review process just does not provide ROI, nor does it drive behavior change. Today’s leaders want feedback more often. So, what is the answer? Find out in this whiteaper. Applying an employee selection system to your organization is a daunting task as a whole. This whitepaper breaks down employee selection systems into their main components and provides a pathway to navigate the process of applying a legally defensible approach to your organization. Nearly every hospital is building a network of employed specialty physicians or is seriously considering it. There is no guarantee, however, that the strategy will be successful for the hospital or for the physicians. This whitepaper details the HR best practices for hiring and retaining physician employees. Experienced healthcare workers are in short supply and budgets are under pressure. Work-related injuries are a significant contributing factor in both of these problems. Every healthcare organization needs to optimize productivity and keep employees safe while reducing costs. The hiring strategy often focuses exclusively on clinical and technical skills, with little attention to the individual characteristics that impact workplace safety. Research clearly shows that screening for these traits significantly reduces the number of workplace injuries. Hospitals and healthcare professionals have entered a new era of increasing pressure to fundamentally change the way care is delivered. There is a consensus that the system must begin to deliver “value,” but organizations are struggling with the cultural change required to meet this challenge. This whitepaper details the HR best practices to make that cultural shift in your healthcare organization. Estimates of the cost of employee theft range from $10 billion to $200 billion annually. I/O psychologists have been helping to identify individuals who are more likely to engage in theft and other counterproductive work behaviors through the use of integrity tests. This whitepaper focuses on the development and application of the Select Assessment for Employee Reliability. See how this employee assessment helps your organization predict employee integrity and reliability. Hiring employees who are friendly, come to work on time, work well with others and perform their jobs effectively is a key objective of any successful organization. Employee hiring that is fast, accurate and cost-effective is also critically important. Why are some people successful in sales and others aren’t? In other words, what makes for a good salesperson? This is a question that sales managers and executives ask themselves regularly. Perhaps a more perplexing question is why someone who is successful selling in one job is a complete failure in another, or vice versa. Is there a way to dramatically increase your odds that someone is going to succeed in a sales role? The key is pre-employment testing customized to a salesperson’s role. Validity generalization is something you could be doing every day and not even know it! Learn how this simple practice of gathering and testing information applies to the hiring process.